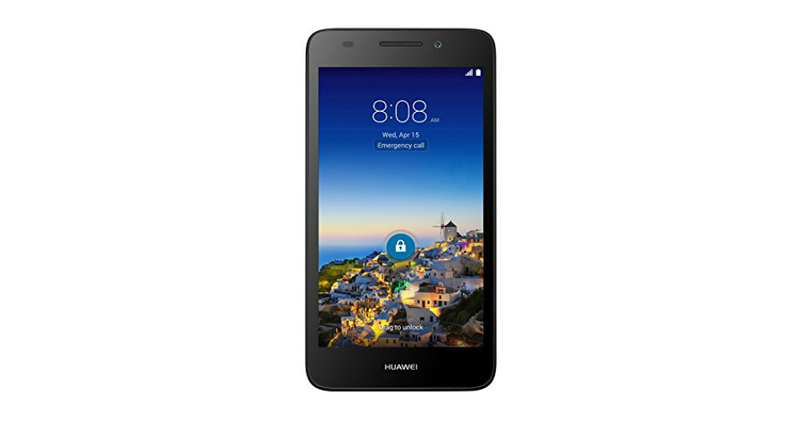 The SnapTo from Huawei, an unlocked smartphone running Android 4.4, powered by a Qualcomm Snapdragon 400 processor, is now up pre-order on Amazon for $179.99. Coming in both White and Black models, the SnapTo is a reasonable competitor to the Moto G from Motorola, capable of running on GSM 4G LTE networks (AT&T and T-Mobile), as well as featuring a 5-inch HD (720p) display. Other specs for the SnapTo include a 5MP rear-facing camera, 2MP front-facing camera, 2200mAh battery, 1GB of RAM, and microSD slot. While the phone comes off as barebones, Huawei worked in a couple of software tweaks, including one called Ultra Snapshot. With this, users press on the volume down button twice, which opens up the camera app, allowing you to be quick on the draw with photo snapping. Both the Black and White models are up for pre-order on Amazon. According to Amazon, both models will ship starting April 17, which is about one week away. If a budget-friendly device for someone in your family interests you, check it out. PLANO, Texas, April 09, 2015 – Huawei, a leading global information and communications technology (ICT) solutions provider, today introduced SnapTo, a full-featured Android smartphone perfect for consumers who don’t want to be shackled to carrier contracts and are watching their spending. As an unlocked smartphone, SnapTo gives customers the capabilities they care about without weighing them down with contracts and services they don’t want and can’t afford. Powered by Android 4.4 (KitKat), Huawei SnapTo comes with some of the latest tech specs to make sure users are getting the best speed and mobile browsing experience on whichever U.S. GSM mobile service provider they choose. SnapTo supports LTE networks from the nation’s two leading GSM providers, along with smaller wireless service providers, making it possible to experience fast mobile web browsing and streaming almost anywhere across the country. SnapTo doesn’t skimp on fun for the sake of functionality either. With the Ultra Snapshot camera activation feature, users simply press the lower volume button twice to capture a spontaneous moment or unexpected photo opportunity. This action immediately activates the camera and allows users to take and review a photo, all without unlocking the screen or opening the camera application. Plus, SnapTo’s camera application features unique after-effects like adding watermarks to personalize and customize captured photos. And no one wants to worry about slow touchscreen response or getting bogged down when switching between multiple applications. Huawei SnapTo features a quad-core Qualcomm Snapdragon 400 processor so it can handle any applications and multitasking users throw at it. Starting today, consumers can pre-order Huawei SnapTo on Amazon.com, with availability beginning next week. Also starting next week, Huawei SnapTo will be available at GetHuawei.com, BestBuy.com, Brandsmart USA, Frys.com and Fry’s Electronic retail stores, NewEgg.com, and various other retail and dealer stores across the country.